Butkow’s story is one of transformation. A chartered accountant who made art for the first time at age 43, she is now a full-time and socially-engaged artist studying towards her Honours in Art History at Wits University. Her inaugural solo exhibition titled m/other came on the heels of winning a Merit Award at 2015 SA Taxi Foundation Art Award and exhibiting on several group shows, including Cape Town and Joburg Art Fairs. 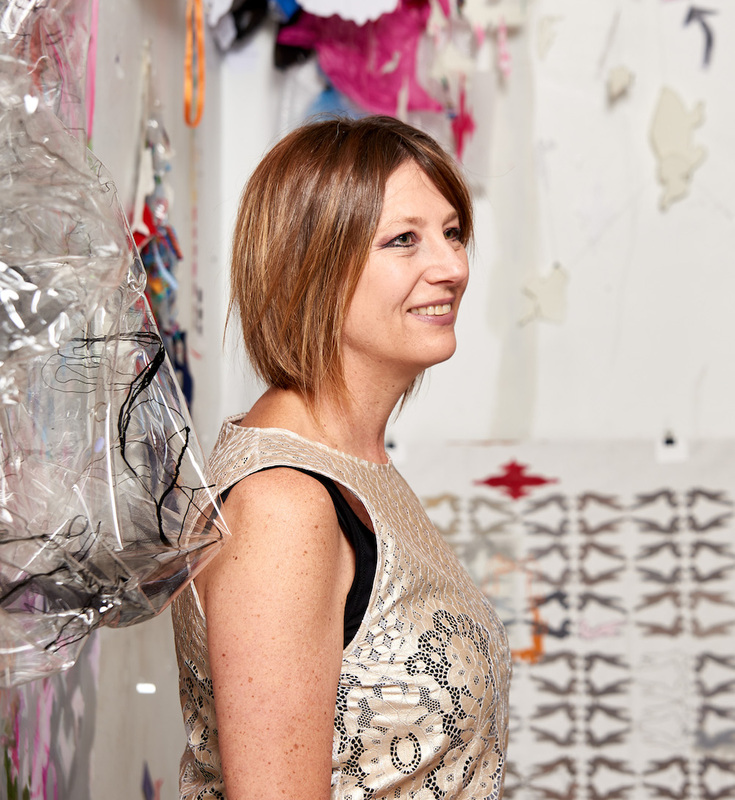 Her work sits in corporate and private collections in South Africa, Amsterdam, Dubai, France, New York and London. She was born and lives in Johannesburg with her husband and four children and is based at the Bag Factory Artist Studios in Newtown. Bev Butkow’s studio practice is intensely personal. Her vulnerable and searching paintings and drawings speak against unequal power structures, societal norms and conventional gender roles. Butkow’s artistic process speaks to the personal struggle of the artist, who challenges herself to dismantle the rigid composition of the world around her. Her uncertain lines seem to attempt a cartographic rationality, but soon trail off into obscurity, leaving behind smudges and scribbles. Their failure to assert a structured whole is what gives them their subversive power.